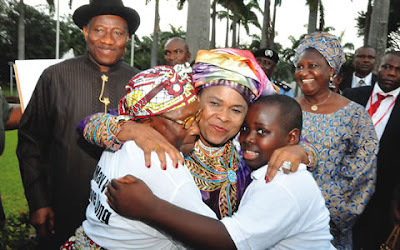 Dame Patience returned to the country yesterday (Wednesday, 17th) after spending about seven weeks abroad. As soon as she alighted from the aircraft, she denied that she went abroad for cosmetic surgery. She also denied being an in-patient in a German hospital on account of a terminal disease, adding that her husband loved her physique. She said, “I read in the media where they said I was in the hospital. God Almighty knows I have never been to that hospital. I don’t even know the hospital they mentioned. Even though she was dressed in boubou, she appeared to have lost weight and said that the prayers of Nigerians sustained her during what she called her “period of trial”. She said, “I am happy to be back in Nigeria. There are a few Nigerians that are saying whatever they like, not what God planned because God has a plan for all of us. The first lady also dwelt on reports that linked her rumoured illness to her husband’s position as President. She said, “At the same time, I will use this opportunity to address those who are saying that anybody that goes to the villa or Aso Rock will die. 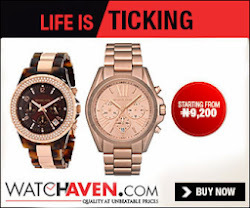 At the residence of the first couple inside the Presidential Villa, except for the President who was dressed in his usual Niger Delta traditional attire, other members of the household wore T-shirts bearing different images of Patience. Messages such as “We love you”, “We miss you”, “Welcome back” and “May you live long” were inscribed on the shirts. Mrs Jonathan, after a long embrace with her husband, mother-in-law and children, greeted her aides afresh. She also joined in the dancing and singing before retiring into her residence with members of her family, close friends and top government officials.